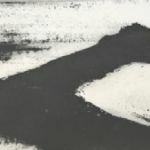 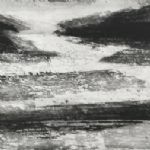 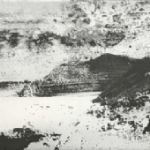 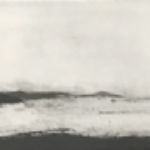 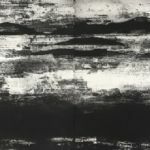 North House Gallery is delighted to start the Autumn season with Jason Hicklin's OCEAN etchings: contrasting images of the Atlantic and the Pacific. 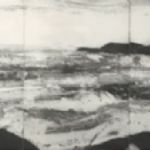 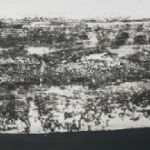 In 2016, after a collaborative walking/drawing project on the Mersey, Jason was invited to show in Newcastle NSW, Australia and given a residency to make work around the Hunter River where it emerges into the South Pacific. 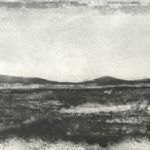 The intensity of the work produced on the Mersey, and his use of Eno and Schmidt's 'Oblique Strategies' cards, led first to a new way of working in the more familiar environment of the Hebrides abutting the Atlantic. 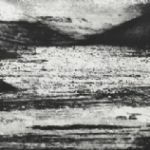 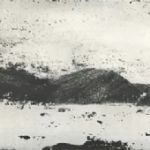 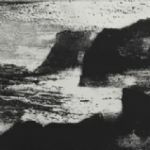 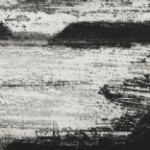 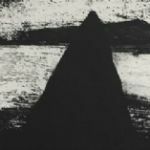 The result is a collection of tough, uncompromising etchings, bordering on the abstract, some (Atlantic I–V) featuring only the shining ocean and sky, and others (Ocean Part 1: Atlantic) witnessing the meeting of the ocean and the dark headlands and rocks of the Isle of Lewis. 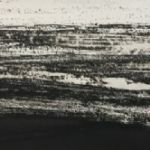 The second collection (Ocean Part II: Pacific), from Australia, continues in this vein but with a marked difference in tone due to the warmth and light of the South Pacific Ocean. 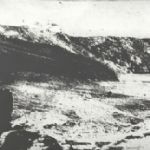 "Each day began with a swim at 5.30am watching the sun rise over the ocean. 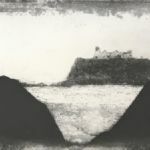 Walking routes included from Nobby's Head in Newcastle to Red Head Point, a boundary point of the Glenrock Conservation Area which overlooks the Tasman Sea and the Pacific Ocean. 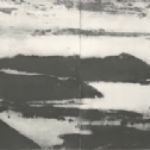 We also made walks along the north and south channels of the Hunter Estuary and we were provided assistance and guidance on walks in the Hunter Wetlands National Park. 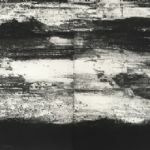 "The geology of this landscape, the light of the Southern Hemisphere and rhythms of the Pacific Ocean are what define these etchings. 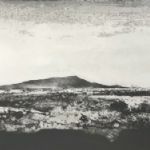 They are the only etchings I have made that are based on a landscape other than the British Isles." 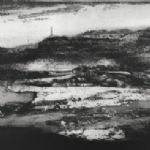 Jason Hicklin, born in Wolverhampton in 1966, studied painting at St Martin's and advanced printmaking at Central School of Art under Norman Ackroyd RA, for whom he still editions large works. 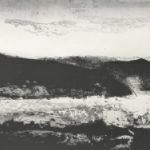 In 1993 he was elected member of the Royal Society of Painter-Printmakers (RE) and has had numerous solo and joint exhibitions in London and abroad. 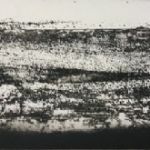 Since 1999 he has been Head of Printmaking at City & Guilds of London Art School and in 2016 was elected a council member of the Royal Society of Painter Printmakers. 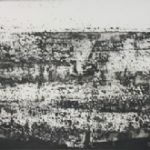 His work is included in the British Museum and the Royal Collection of Her Majesty The Queen.